Large enough to be displayed alone in a powder room and also striking when hung in multiples. Available in black steel or galvanized finish (please specify at order). Patinas are hand applied and each one will be unique. 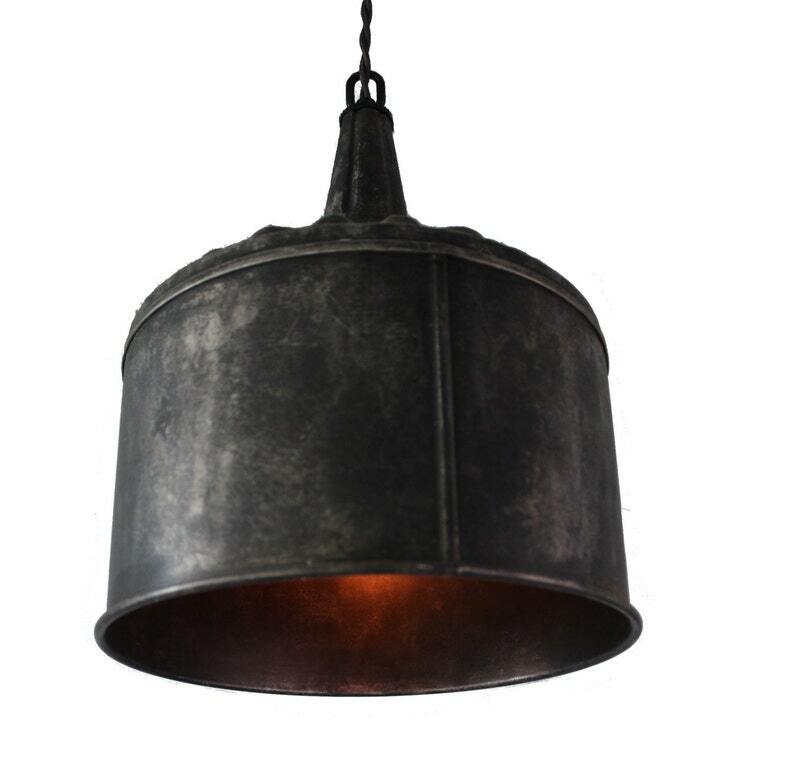 Pendant light measures 11" wide by 12" high, available in aged black steel or zinc finish. Comes with 4' of antique-style twisted cloth covered wire. Includes matching canopy and all components for hardwired installation. New electrical components and wiring. Can accommodate up to 75 W bulb (not included).